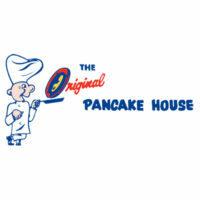 The Original Pancake House is a chain of restaurants that offer traditional pancakes and other breakfast items. It operates all over the US with overseas branches in Japan and South Korea. The restaurant was founded by culinary experts Les Highet and Emma Hueneke in Portland in 1953. The pair created their unique and menu from recipes they’d collected from their extensive travels. The Original Pancake House is a family business, which takes pride in its high standards when it comes to preparing exceptional foods. The chain operates over 100 restaurants in the US and Asia. Employees enjoy above average salaries, flexible work schedule and in house discounts. Eligible employees also receive a comprehensive benefit package, including 401k plan, paid time off and health insurance coverage. People like working at the Original Pancake House because of the fun, friendly and team-oriented work environment. The chain promotes employee development, so even those without previous experience can move up. How old do you have to be to work at the Original Pancake House? The minimum age requirement to work at the restaurant is 16 years old. Host/Hostess – welcomes customers to the restaurant and ensures that they are seated promptly. When necessary, they manage waiting times and relay these to customers. The position requires great customer service and communications skills. Dishwasher – responsible for ensuring that all dining and kitchen utensils and equipment are washed and ready for use. They need to ensure that there is always sufficient dinnerware to avoid any delays in serving orders. The job requires individuals with a high regard for cleanliness and hygiene. Server – responsible for ensuring that the customers enjoy their time at the restaurant. They answer questions about the menu, take and deliver orders and address any other customer need. The position requires excellent people skills and a positive demeanor. The job also requires someone who is physically able to navigate the dining area while carrying food orders. Cook – responsible for preparing orders to restaurant standards. Previous experience in a similar role may be required to apply for this position. Management and fulltime positions are also available. While the company provides training and development, applying for a management position will require at least 5 years of managerial experience. The best way to apply is to drop by at the nearest Original Pancake House restaurant to check for job openings and get an application form. It would be ideal to avoid busy hours so you can speak with a manager and get all the information you need to apply. The restaurant’s company website doesn’t currently have a career page or application portal. However, you can check for specific location websites to view if they process online applications. If you will be filling out an online form, make sure to read the questions or items carefully so you can give appropriate answer. If you have a form from the store, check if you can take it home with you. Don’t rush to fill it out as this may increase your chances of making mistakes. Your resume is an important part of your application. It helps you create an impression with the hiring manager even before the interview. Make sure to list all the relevant skills and job experience you have. Practice with typical questions prior to the interview. Some questions may be about how you will handle customer complaints or even the most dreaded “tell me about yourself”. Practicing will help you be more confident during the actual interview. The pancake oriented restaurant prides itself on serving delicious food made only from the best ingredients. It sets a high standard from the eggs used in the batter to the service provided by restaurant staff. The Original Pancake House captured the hearts and the appetite of thousands of diners. It received local and national acclaim such as being named as one of the Top 10 Pancake Restaurants by USA Today. The Original Pancake House is known for its signature dishes. Two of the most popular ones are the Apple Pancake and Dutch Baby. These mouthwatering breakfast items delighted diners for generations. The restaurant chain participated in various activities that give back to the local communities. It partners up with other organizations such as the Big Brother Big Sister Program, Canine Companions and Galaxy Counseling Center to raise funds for these causes.